Bring your sense of humor and an open heart. Be ready to play, laugh, and stretch. Our little goats are affectionate, enthusiastic, and extremely loving. They will want to climb on and around you. It’s adorable, and maybe a little invasive. 2019 YoGoats! is starting in March. Be on the lookout for ticket sales info here, or through our email list (which you can sign up for below). Your ticket price includes yoga and playtime with our goats for you, and brings so much more for City Grazing. Your support helps us pay for the costs of adopting and raising these sweet little kids to their full potential as grazers and also facilitates our day-to-day work as a non-profit. Goats bring joy and a sense of well-being to almost everyone who encounters them. As a non-profit, we are developing education and outreach to bring more goats to more people. We are fortunate to have the talented Deborah Burkman and her associates as our yoga instructors. 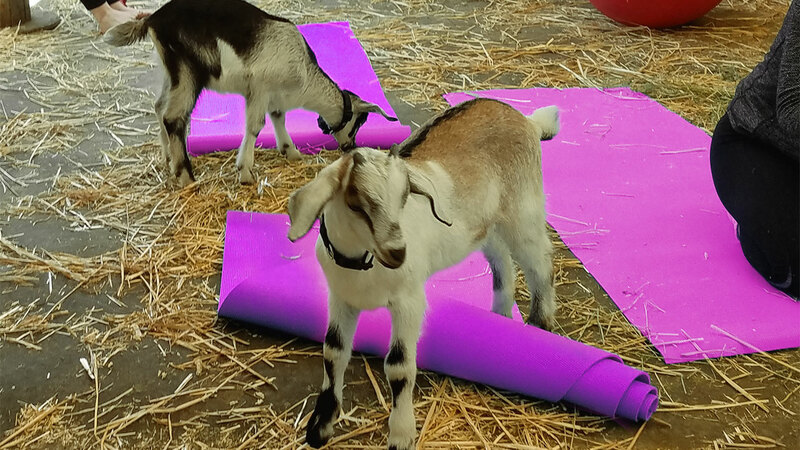 With 17 years of Bay Area teaching experience, she’s capably adapted her Vinyasa method to include the spontaneity of little goats in a program that’s suitable for all experience levels. Coming to aYoGoats! event at our site in San Francisco’s Bayview district? Bring water, a yoga mat, and light, flexible footwear suitable for yoga. Little goats love to nibble loose hair, so we advise tying it up in whatever way you are most comfortable. Our setting is an open-air goat barn; rugged, industrial, and frequented by our four-legged friends. Your mats will be on rubber stall flooring and straw. Be prepared to step outside of your comfort zone and get a little dirty! We’ll have a port-a-potty available, but be aware that there are no public restrooms or changing facilities on the premises. Please arrive 15 minutes early. If you are taking public transit, please allow at least 15 minutes walking time from your stop. We have ample parking along Cargo Way. Be on the lookout for the vintage black and yellow train engines belonging to our sister company, San Francisco Bay Rail. You can leave a message for us by phone or e-mail. 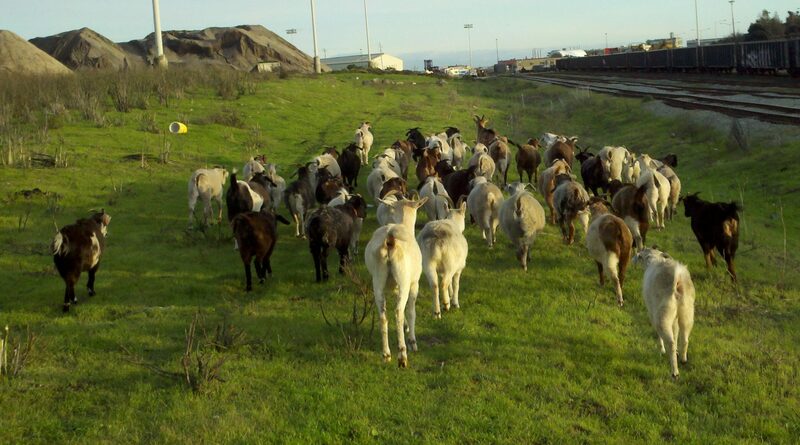 Once we have reviewed your message a City Grazing representative will get back to you as soon as we can.